Maybe you’re remodeling your house and need a temporary place to store all your stuff or you’re moving to a new home and need to downsize. Maybe you’re a business owner who needs extra space for extra inventory, business files, or marketing collateral. If any of these scenarios apply to you, it might be time to consider a storage unit. With your particular needs as a starting point, browse the Internet to research the storage facilities in your area. Keeping your things close to your home or office might be your top priority. Perhaps you need climate-controlled units or RV or boat storage. Do your research to find out what’s out there. Once you have your eye on a few possible self storage partners, dig deeper to see which one best suits your storage needs – and your budget. Here at Storage Etc., our units start at 5x5, and our extra-large options top out at 12x38 in some locations. When we say that no need is too big or too small for us, we mean it. Visit our website to find our self storage options near you. We always recommend visiting the storage facility before making a decision. Exploring the neighborhood, meeting the staff, and checking out the facility’s condition will definitely help you decide. Ask about security features, gate access hours, and ground-level availability to add peace of mind to your storage decision. We believe more features mean more convenience. That’s why each of our facilities is designed to help you spend less time moving and more time doing what you love. If you’re planning a big moving day and your larger items won’t fit in your car, there is no need to ask your friend with a truck for a favor (yet again). In most of our locations, Storage Etc. offers free use of a moving truck for new tenants. And, with packing and moving supplies for sale onsite, you don’t even need to go to the store. If you have a lot of stuff, organizing your unit may take some time. Develop a plan of attack in advance. Maybe you want to commit to doing it all in one day, or maybe splitting it up into smaller trips before or after work is the best approach. Now you know which storage unit is ideal for you, your needs, and your budget. Whether you’re looking for short- or long-term rentals, how you organize your unit is key. It’ll help you maximize your space, find items faster, and preserve your things. Check out one of our previous blog posts to learn more about the importance of labeling, listing, and strategic placement. It also has useful information on how to best store items such as clothing, furniture, or artwork. 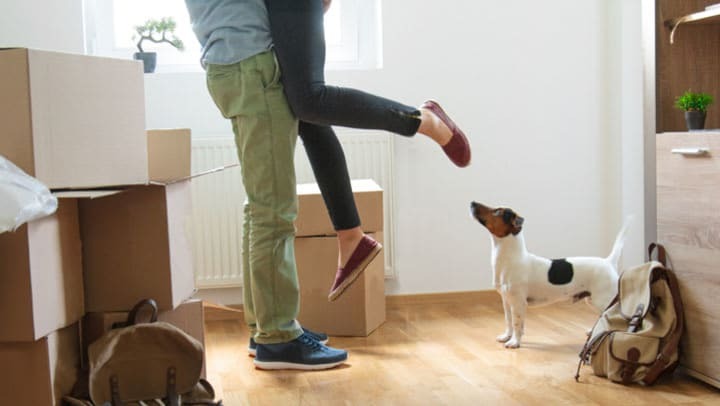 With this beginner’s guide and the help of our professional self storage team, you’re ready to store your items like a boss and make the most of your unit. Ready to start storing? Contact the Storage Etc. team and get the extra space you need today.